Dear Applicants, NMDC Limited is inviting Application form for filling up 169 Maintenance Assistant, Electrician & Other Vacancies. All the candidates who are interested in NMDC Recruitment 2018 can fill online form here. This is great job opportunity for all the candidates who are searching Jobs in National Mineral Development Corporation. Closing date of Filling Online or offline form for NMDC Recruitment 2018is 19th Feb 2018. More information about Eligibility Criteria & Other you can collect from below article. NMDC Recruitment 2018 is also called as NMDC. department has issued notification for appointing candidates on 169 Various Vacancies. Submission of online form for NMDC Jobs 2018 has been started from 17th January 2018. Applicants must check required details before filling online form. Rest of details like Education, Age, Pay Scale & selection criteria you can check here, which is describe below. Latest News as on 07.02.2018 : Applicants, NMDC has now issued notification of 36 Various Vacancies. Applicants who are interested in NMDC Recruitment can fill online form here till 26th Feb 2018. Check Notification & Apply Online form here, link is mention in below article. Latest News as on 22.01.2018 : Applicants, NMDC has now issued Exam Syllabus for Maintenance Assistant Exam. Interested candidates can download NMDC Syllabus 2018 PDF from here for better Exam preparation. Link of filling online form is mention below & For more details read the below article. How To Check Required Application Fee, Monthly Salary & Selection Criteria For NMDC Limited Recruitment 2018 ? How To Fill Online Form For NMDC Recruitment 2018 – Maintenance Assistant Online form ? How To Fill Online/ Offline Application Form For NMDC Recruitment 2018 ? Applicants who are going to fill online form for NMDC Limited Jobs 2018 can check required eligibility criteria & Other details from here. In the below section we are providing Education & age Criteria For NMDC MA Jobs 2018. Rest of details you can collect from official National Mineral Development Corporation Vacancy Notification. 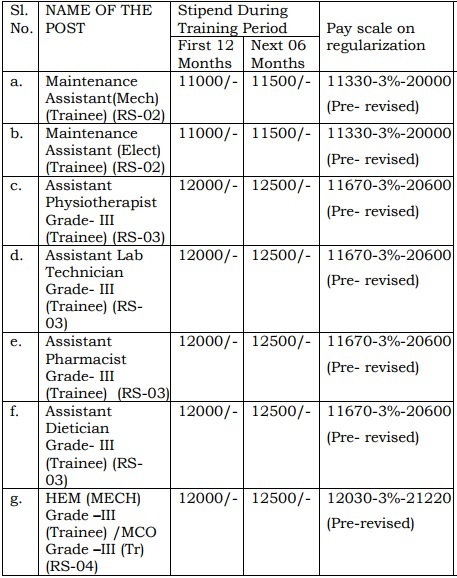 Maintenance Assistant : Candidates must have done ITI in respective trade from any recognized institute. HEM (MECH) : Diploma in Mechanical engineering, Having Heavy Vehicle Driving License for NMDC Jobs. Electrician & HEM Operator : 03 years diploma in respective trade. QCA Grade III : B>Sc. in Geology/ Chemistry, One year experience for NMDC Limited Bharti. Minimum age of the candidates for NMDC Recruitment 2018 must be 18 years & upper age should be 30 years as on 10.03.2015. Age relaxation is applicable up to 05 years for SC/ST category, 03 years for OBC Category & For PWD category you can check from official NMDC Ltd Jobs Notification. Candidates needs to pay Rs. 150/- as application fees for Maintenance Assistant recruitment 2018. Other category candidates like SC/ST/PWD/ESM & department Candidates are exempted form paying application fees for NMDC Recruitment 2018. Fees must be deposit through both Online or offline mode, more details check from official notification. Selection of the candidates for NMDC Recruitment 2018 will made on the basis of Written Exam & Trade Test. Final Merit List decide the selected candidates. Pattern of Written Examination for National Mineral Development Corporation Jobs is mention below. written Exam is objective type in nature of 100 Marks. written Test will available in Hindi, English & Kannada Language. Subject wise pattern of exam is mention below. More details you can check rom official NDMC Vacancy Notification. (A). Online Mode – First of all candidates log on to the official website www.nmdc.co.in. Now click on career section & read the Official Notification properly. If you are eligible then click on Apply Online form link. Fill all required information in form properly. Now Upload your scanned photo & signature in form. Deposit application fees & click on submit button. Take print out of NMDC Online form for Future use. Conclusion : NMDC Recruitment 2018 For 169 Maintenance Assistant & Other Vacancies. Candidates can fill online form for NMDC Vacancies on or before the last date 19.02.2018. Check more details by reading the above article. National Mineral Development Corporation is inviting online application for filling up NMDC Limited Vacancies. There are 101 Maintenance Assistant & Various Other Workmen Jobs in Kirandul Complex. Those candidates who are interested in NMDC Recruitment 2018, they can fill online form/Offline Mode for Workmen Jobs from here. Filling online form for Kirandul Complex Vacancies has started from 28.12.2017. Closing Date for filling up online form for NMDC Maintenance Assistant Vacancies is 28.01.2018. 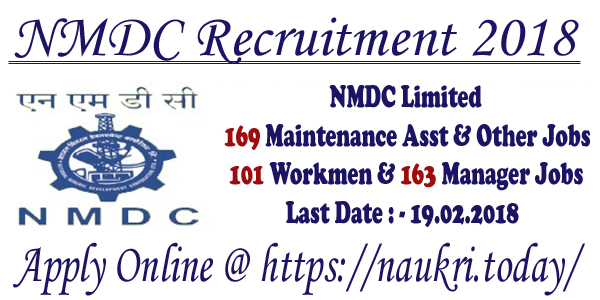 NMDC Limited has issued notification for appointing qualified candidates on 101 Maintenance Assistant & Other Workmen Vacancies. Online registration for NMDC Vacancies has been started,. Interested candidates can fill online form here & check required eligibility criteria from here. In the below section, you can get full details about Education Qualification, Age, Salary & selection criteria For NMDC Limited Recruitment 2018. Fresh Updates on 16.01.2018 : Applicants, NMDC Limited has issued 87 Executive & Junior Officer Vacancies on deputation/Contract Basis. Candidates can fill application form till 12.02.2018. Check Notification & NMDC Application which is shown below article. Fresh Updates on 13.01.2018 : Dear applicants, NMDC Limited has now released 44 maintenance Assistant Vacancy Notification. Candidates who are interested in NMDC recruitment can check full notification & Fill online form here till 12th Feb 2018, link is mention in below article. Those candidates who are going to fill online form for NMDC Workmen Recruitment 2018 can check post wise required Eligibility Criteria Form Here. 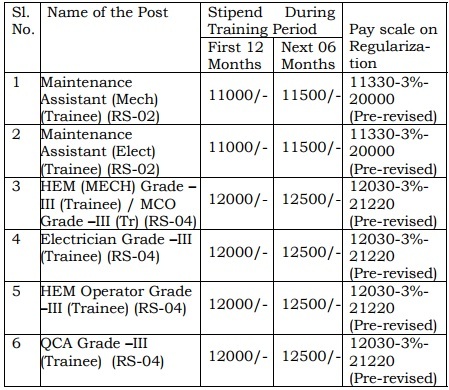 In the below article full details about NMDC Jobs Education & Age Criteria is describe. You can also check these details from official notification. For Post No. 01 & 02 : ITI in respective Trade from recognized institute. Post No. 03 : Bachelor’s Degree in Physiotherapy & 03 years post qualification experience. For Remaining Vacancies : Candidates can check remaining Vacancies education qualification from official NMDC Limited Jobs Notification. Minimum age of the candidates for NMDC Workmen Vacancies must be 18 years & upper age should be 30 years as on 08.05.2015. relaxation in age for NMDC Limited Jobs is applicable up to 05 years for SC/ST Category & 03 years for OBC Category candidates. Selected candidates for NMDC Jobs 2018 will paid a good salary as per Organization norms. 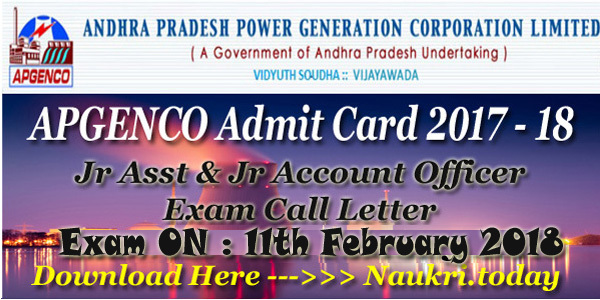 Check Post wise pay band for NMDC Workmen Jobs from here, which is mention below. Candidates of UR & OBC Category needs to pay Rs. 150/- as application fess for Filling NMDC Jobs Online form. Other category contenders of SC/ST./PWD/ESM category are exempted from paying application fees. Fees Must be paid through both Online or offline Mode. Check more details from official NMDC Limited Recruitment Notification. Selection of the qualified candidates for NMDC Vacancies will made on the basis of Written Exam & Trade Test. Final merit list will prepare on the basis of Marks Obtain in Examination. you can check more information about Examination from official NMDC Limited Vacancy Notification. All the Interested & Eligible candidates for NMDC Vacancies can fill application form here through online of offline both mode. Read the given steps which is helpful for filling NMDC Online form for Workmen Jobs. (a). Online Application Process : First of all candidates log on to the official website www.nmdc.co.in. Now click on Career section & click on Official NMDC Jobs Notification link. Read all the information from notification properly. Now click on Apply Online Form Link. Fill all required information in form properly. Upload your scanned photo & signature in form & Deposit application fees if required. Now click on Submit button. & Take print out of NMDC Vacancy Online form for future use. Conclusion : – NMDC Recruitment 2018 For 101 Maintenance Assistant & Other Workmen Jobs. Candidates can fill online/ Offline Form for NMDC Limited Recruitment on or before the last date 27.01.2018. Check More information by reading the above article or from official National Mineral Development Corporation Notification. National Mineral Development Corporation has released notification for recruiting candidates on various NMDC Manager Vacancies. There are 163 General Manager, Sr. Manager & other Vacancies. Interested candidates in NMDC Recruitment 2018 can fill application form here through offline mode. Closing Date for submit NMDC Jobs Application Form is 31.01.2018. More information about National Mineral Development Corporation Jobs Eligibility Criteria, Application form etc. is mention in below article. NMDC Limited is inviting prescribed application form for filling Various Discipline 163 Manager Jobs. This is great job opportunity for all the applicants who have hold Graduation degree. Submission of application form for NMDC Vacancy has been started. Appliers can fill application form & also check required eligibility Criteria detail from here, by reading this article. Applicants here we are providing category & discipline wise NMDC Vacancies. To get post wise division of Manager Jobs then check the official notification, which is mention here. Check Post wise required Education & age Criteria from the below section. Here our naukri.today team is also providing Post wise Pay Scale, Selection criteria for NMDC General Manager Recruitment 2017. Also get more information which is mention in official National Mineral development Corporation Vacancy Notification. Candidates must have done Graduation/ B.E. degree in respective trade (Mechanical, electrical, Instrumentation. Chemical & Other) from any recognized University for NMDC Vacancies 2017. Post wise required Education Qualification trade wise is mention in advertisement. Applicants these is no age bar for applying form for NMDC Recruitment 2018. To get details about Age Limit & relaxation them check official Department Notification. Jr. Manager E1(a) : Rs. 20,600- 3% – 46,500/-. Assistant Manager E1(b) : Rs. 24,900 – 3& – 50,500/-. Dy. Manager (E2) : Candidates will paid Rs. 29,100 – 3% – 54,500/- for NMDC Dy. Manager Jobs. Manager (E3) : Rs. 32,900 – 3% – 58,000/-. Sr. Manager (E4) : Rs. 36,600 – 3% – 62,000/-. Asst. General Manager (E5) : Rs. 43,200 – 3% – 66,000/-. Dy. GM (E6) & Jt. GM (E7) : Applicants will paid pay band Rs. 51,300 – 3% – 73,000/-. There is no need to pay any application fee for filing NMDC Recruitment 2018 Application Form. All category applicants are exempted from paying application fess. Selection of the candidates for NMDC Vacancies will made on the basis of Interview. Shortlisted candidates for Various Manager Vacancies will call for Interview round. Final Selection will based on marks obtain in Interview. Further information about Selection method check from notification or from official website. First of all candidates log on to the official website www.nmdc.co.in. Click on Official NMDC Limited Jobs Notification link. If you are eligible then click on Download Application form link. Take print out of Manager Application form. Recheck all filled details before submit application form. Conclusion : – NMDC Recruitment 2018 for 163 DM, Manager & Other Posts. candidates can fill application form for National Mineral Development Corporation recruitment before the closing date 31.01.2017. More details read the official notification & Also check from above article.